If you’re relocating to Germany, whether it be for business or personal reasons, there are a number of things you may want to make yourself aware of before making the big move. 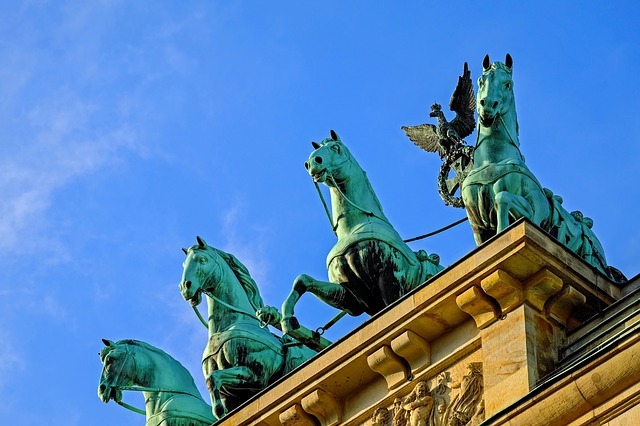 With this guide, we hope to make your move to Germany as easy as possible. Additionally, you can read on to find out more about My Baggage – our convenient, affordable and reliable door to door luggage shipping service could help you to save significant time and money on transporting all of your worldly possessions to Germany. Located in Western Europe, Germany is a country that is packed full of fascinating cities and is drenched in rich history and culture. It boasts a population of approximately 82.79 million, making it the most populous country in the EU, and the country itself is made up of a diverse landscape of forests, rivers, mountain ranges and beaches. It is so easy to see why so many people from all around the world choose to start a new life in Germany. Berlin, one of the most popular capital cities in Europe, surprisingly has a cost of living lower than any other western European city. As well, in recent years, Munich has been ranked as the world’s “most liveable city”. There are job and career opportunities aplenty to be found all across the country, and if you’re hoping to further your academic horizons in Germany, you can bask in the country’s high standard of education. It boasts a number of world-renowned institutions, and just so happens to be one of the most popular countries in the world for international students. 1. It is loaded with rich, decadent foods. 2. It has one of the best economies in Europe. 3. Worker's have fantastic rights. 4. There are many travel options. 5. It is rich in history, geography and architecture. 6. Public transport is convenient and relatively cheap. 7. It has one of the lowest youth unemployment rates in Europe. 8. Sundays in Germany are a time for guilt-free rest. 9. Germans take their hobbies very seriously! 10. You'll find some of the most delicious beers in the world. Moving abroad can be a life-changing experience, but that certainly doesn’t make it any less daunting. If one thing is for sure, it’s that you must make all necessary preparations before embarking on this new chapter of your life, and that includes doing all of the necessary research on the place you will soon call home. From understanding the way of life, to learning the language— here are just a few of the most important things you need to know before moving to Germany. Generally speaking, the quality of life is very high. Factors that tend to affect this include political stability, economy, environmental awareness, the educational system, and accessible public transportation. Germany ranks highly across the board, in fact, Germany is one of the countries with the highest standards of living in the world. The country is also incredibly diverse, which makes it all the more pleasant to live in. In comparison to many other European countries, the cost of living in Germany is quite reasonable, with Berlin surprisingly having one of the lowest costs of living in all of western Europe, despite its popularity as a capital city. The cost of living, of course, depends on where you live and the type of lifestyle that you lead, however, generally speaking, the cost of food, accommodation, clothing and cultural events in Germany are in line with the EU average. The official language of Germany is German. English is widely spoken among many popular regions of Germany, however, if you are planning to live and work permanently in the country, honing your German skills is a wise idea. The German healthcare system is often regarded as one of the best in the world. Germany has a universal healthcare coverage, which means that no one lives in fear of receiving extortionate medical bills. Whilst it isn’t free, it is paid for through your monthly salary— around 7.5%-8%. That said, the German healthcare system can be quite complex, and so if you are new to Germany, it is important to do adequate research to ensure you are covered medically. Generally speaking, the German education system has an excellent reputation all around the world. The country boasts a number of world-renowned institutions, and it just so happens to be one of the most popular countries in the world for international students. There’s nothing quite like authentic, local cuisine, and Germany boasts some of the most popular dishes, from bratwurst and spaetzle, to strudel and black forest cake. Whilst most authentic German foods are pork based, you’ll quickly learn that German cuisine includes a great variety of local produce, and even seafood, all depending on which area of the country you are in. Berlin is often regarded as the city with the best culinary scene. If anything is for certain, it’s that you won’t go hungry when in Germany. Get your immigration documentation sorted as early as possible. Set up a German bank account as soon as you can. Get your healthcare in Germany sorted early to avoid any problems. Keep a record and stay on top of your finances— save, save, save! If you’re moving for a job— don’t be afraid to ask your employer for help. One of the most important things to consider when relocating anywhere in the world is transporting all of your possessions abroad. Thankfully, there are a number of ways that this can be done, with various options to suit all types of budgets and circumstances. If you are travelling to Germany by flight, you can of course carry your belongings with you in bags and suitcases. 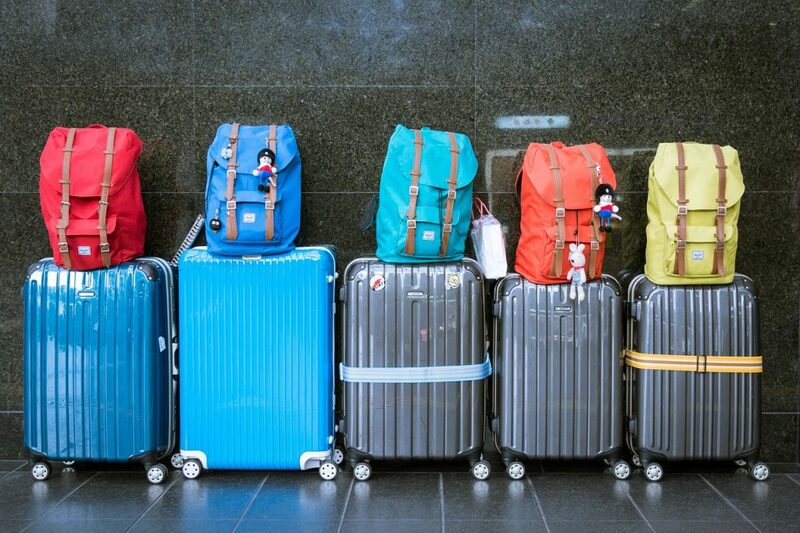 However, if you have quite a substantial amount of belongings to bring with you, multiple heavy bags and suitcases could start to weigh you down on your travels— literally! Not only that, but you could be slapped with excess baggage fees at the airport check-in desk, which could significantly increase the overall cost of your move to Germany. Shipping your excess luggage to Germany with My Baggage also makes that dreaded, tedious wait for the appearance of your suitcase at the luggage carousel a thing of the past. (Not to mention the possibility of your suitcase not appearing at all, which is everyone’s worst nightmare!) My Baggage ships your belongings quickly and safely. Hiring a traditional international removals company is one of the most popular methods of transporting belongings abroad when relocating. However, depending on the scale of your move and the type of service that you choose, costs can quickly mount up. If you need to transport exceptionally large items such as sofas, beds, or even your car, this method can prove to be the most cost-effective. If shipping small items, it can be expensive. Container shipping is generally the most affordable method of international removals. You will make significant savings when you opt for sea freight over air freight. However, you should bear in mind that it can be an exceptionally slow voyage – in fact, you could be waiting for up to two months for your belongings to arrive with you in Germany, depending on where they are coming from. It’s also important to be aware that although the majority of international removals companies will deliver straight to your door, some may require you to arrange transportation to and from the ports. Air freight is a much faster method of shipping your belongings, though as it is typically priced by weight and volume, it is more costly as a result. Again, some international removals companies will offer a full door to door delivery service, whereas some may require you to arrange the transportation of your items to and from the airports yourself. My Baggage provides a convenient and affordable international removals service to Germany and to over 200 countries worldwide, across over 1,000 routes. With stress-free door to door shipping, full online tracking and dedicated, unrivalled customer support. Why Transport Your Belongings With My Baggage? My Baggage offers a brand new approach to transporting your belongings to Germany. With our fast, convenient, reliable and affordable door to door luggage shipping services, My Baggage can offer a more feasible method of shipping your belongings in suitcases and boxes to your new home abroad. Relocating is an undeniably expensive process, and for many people, it could be a much more cost-effective option to sell or donate large, bulky items and ship only their most treasured and essential belongings with My Baggage. At My Baggage, we pride ourselves on our fantastic low prices for shipping possessions all over the world. In many cases, traditional international removals companies can be expensive, and so not a feasible method of transport for all kinds of people who might be relocating to Germany. For others, airline baggage can be risky, due to the fact that costs can quickly mount up due to strict weight allowances. As such, shipping your possessions with My Baggage is a welcomed and affordable alternative. We aren’t just affordable— our service offers fantastic value for money. We offer a huge 30kg/66lbs weight allowance per item for as little as £28 to Germany. And, if you happen to find a better price elsewhere, you can use our handy Price Match tool and we’ll do our very best to beat that price. At My Baggage, we understand that for many people relocating overseas, speed is a top priority when it comes to getting your belongings from A to B. The last thing you want is to have to wait weeks for everything you own to arrive with you at your new home, possibly having to buy temporary belongings to keep you going in the meanwhile. In comparison to traditional international movers, which in some instances can take months to arrive— with My Baggage, you don’t have to worry about waiting. We offer super fast removals, with a 2-5 working day transit time to Germany. We understand— it’s only natural to feel apprehensive about handing all of your personal possessions over to a removals driver. That’s why, at My Baggage, we strive to provide an international moving service that you know you can trust every single time. We have partnered with some of the world’s leading international courier services to bring you the highest standard of service. My Baggage’s convenient door to door collection and delivery service means you don’t have to worry about arranging for the transportation of your belongings to a port, nor do you have to worry about collecting them at the other side. My Baggage collects all of your belongings from your doorstep and delivers them straight to your destination. From the moment you place your booking until the moment your shipment arrives with you in Germany— My Baggage keeps you up to date on every detail. We provide full online tracking information, so that you can monitor the status of your shipment every single step of the way. You can access your tracking information at any time by logging into your My Baggage account. You’ll also be given the opportunity to opt-in for text and email notifications to keep you up to date, even on the go, on where your items are and when they are due to arrive with you. At My Baggage, we pride ourselves on having a dedicated, unrivalled customer support team. Thanks to so many years of experience in logistics, our team are experts when it comes to shipping personal effects to Germany and the rest of the world. So, if you happen to have any questions or concerns along the way, simply contact our team via phone, email or live chat and they can provide their assistance. If the great outdoors is your favourite place to be, you may want to bring sporting equipment with you to enjoy your hobbies when you eventually settle into your new life in Germany. You can easily transport all kinds of sporting equipment to Germany with My Baggage. When you relocate to a new country far from home, it’s likely that you’ll want to send things back and forth to your loved ones. There’s nothing quite like receiving a thoughtful care-package from someone that you love. When you book with My Baggage, you can send a box filled with thoughtful gifts for your nearest and dearest in a different country. Many cities in Germany are bicycle-friendly, and not only that, but it’s a great activity to partake in, whether it’s to have a more eco-friendly commute, or to explore your surroundings at your own pace. If you hope to bring your own bicycle with you when you move to Germany, you can when you book with My Baggage. We make it easy for you to transport large, bulky items such as bicycles overseas. In order to be transported, your bicycle will need to be dismantled and packaged securely into a bicycle box. However, your local bicycle shop should be more than happy to do this for you for a small fee. After that, you’re good to go! If you’re a keen golfer, you might want to bring your equipment with you to Germany to embrace the sport in a new country. With My Baggage, you can easily transport your golf clubs to Germany. Just make sure that your golf clubs are packaged in a secure golf bag that is suitable for transit and you will be good to go. If you are musically inclined, you may want to bring your musical instrument with you to Germany. Musical instruments can be particularly difficult to transport overseas, especially on flights, as many commercial airlines require you to purchase an additional seat for the item, which can substantially increase the overall cost of your travel. With My Baggage, you can avoid these additional costs by transporting your instrument easily with us. If you happen to be relocating to Germany to further your education, My Baggage can help you with your big move. Whether you’re relocating to Germany for a semester, an academic year or for the duration of your degree course, My Baggage can help you to transport all of your personal belongings straight to your new home on campus safely. My Baggage prices are student-budget friendly. And we’re not just affordable— our student shipping services offer value for money. You can send as many items as you like with us, and we offer a huge 30kg/66lbs weight allowance per box or suitcase. My Baggage’s online booking system and door to door collection and delivery makes our service easy and convenient for busy students. And with My Baggage, you don’t need to worry about waiting weeks (or even months) for your important belongings to arrive. We offer fast transit times, with Express services available to and from all universities. The My Baggage team is made up of former students and recent graduates, so we understand how stressful the prospect of moving to university can be— not to mention relocating to a new country to do so! We make it our priority to make your experience as easy as possible. Our convenient student shipping services to Germany allows you to relax and enjoy what should be one of the most exciting times of your life. Want to know what other students think of My Baggage? You can read through our customer reviews. My Baggage specialises in shipping personal effects all over the world. However, for security and customs purposes, there are certain items which are considered prohibited. It is important to keep in mind that there are specific items which can be carried, however, they may not be covered under our compensation cover and as such, should be sent at your own risk. If you do need to send any non-compensation items within your luggage, please ensure they are packaged securely and appropriately with internal cushioning. Please note that import allowances, security and customs processes differ all around the world. We recommend that you do your own personal research into what may be prohibited in your destination country before booking your shipment to Germany. When shipping to Germany from the UK or anywhere else in the EU, goods do not pass through customs clearance and therefore are not subject to import tax or duty. If, however, you’re sending to Germany from a country outside of the EU, such as Canada or the USA, you are required to complete and send a customs invoice with your shipment. Whether you are simply sending personal effects or a gift to a loved one, if your shipment does not have a customs invoice attached, it will not make it past your local country border, and you may have to pay return charges to get it back. My Baggage will automatically provide you with the appropriate customs documents for you to print, sign and attach to your shipment when you send luggage to Germany from outside the EU. Generally, My Baggage shipments clear customs in a timely manner, free from duties and taxes, as most countries offer a generous duty-free allowance for personal effects. However, as customs processes and allowances are different around the world, and because My Baggage has no direct association with any customs authority, we do advise doing your own personal research into German customs regulations and quarantine before booking your shipment to Germany from outside the EU. Please make yourself aware of potential customs duties in Germany and follow any advice provided by customs. My Baggage offers a convenient, easy and affordable way for you to transport your possessions to Germany when relocating there. And, booking with us couldn’t be easier. You can simply start by getting a quote straight from the homepage of our website. Our easy to use online booking process takes just a few short moments to complete. The My Baggage services gives you the freedom to choose your preferred collection date, so you can arrange absolutely everything around your moving plans. Once you’ve booked, we’ll send you some shipping labels to print and attach to your shipment. After that, you can simply sit back and relax as My Baggage takes care of the rest. Fast transit times— express services available on many routes. 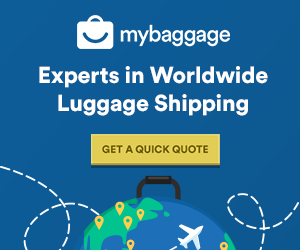 My Baggage offers convenient and affordable shipping services for absolutely everyone, whether you’re a business user, a holidaymaker, an expat or, of course, relocating. No matter your reason, absolutely anyone can take advantage of our competitive prices and excellent services. In fact, many savvy business users regularly avail of our low cost and convenient shipping services in order to relocate their employees all over the world.